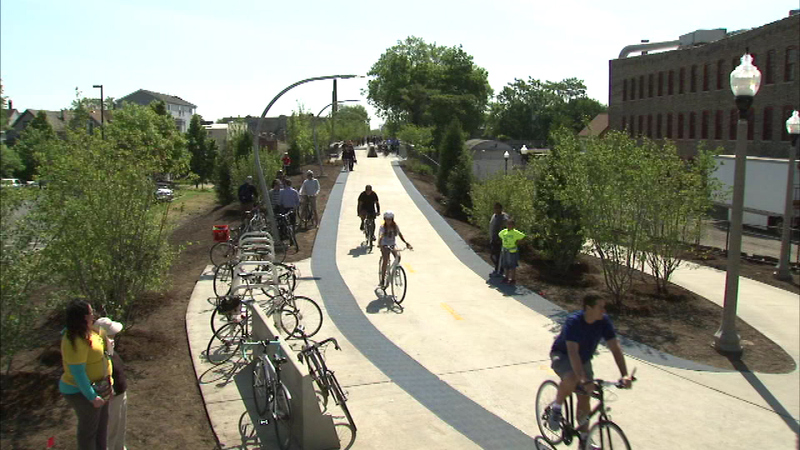 CHICAGO (WLS) -- The new 606 bike trail is going high-tech, as Wi-Fi will soon be available along the path. Comcast announced Monday that they are installing 50 Wi-Fi hot spots along the popular trail. The nearly three-mile path travels through several North Side neighborhoods, such as Logan Square and Goose Island. Users get two free one-hour sessions per month.